The Healthy Child Programme (HCP) is an e-learning programme for all healthcare professionals working with pregnancy and the first five years of life. It is the first programme in the Healthy Child Programme 0-18 series of e-learning resources, including the Healthy School Child Programme and Adolescent Health Programme. 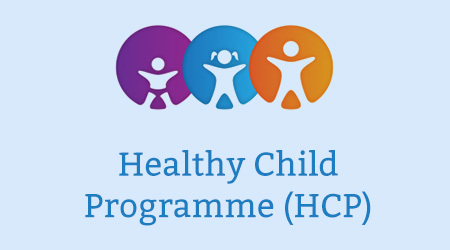 The HCP e-learning programme supports the implementation of the Healthy Child Programme – Pregnancy and the first five years of life framework and covers a range of topics related to child health and health promotion. It is suitable for health visitors, nurses, trainee paediatricians and the child health team as part of blended learning for those in training, or wishing to update. It can also be used as a browsable resource in conjunction with the MindEd child mental health e-learning programme. This work was commissioned by the Department of Health and delivered by Health Education England e-Learning for Healthcare (e-LfH) in collaboration with a consortium of professional bodies. The materials have been written by subject specialists and experts in their particular field and have been subjected to extensive peer review. The programme is not intended to replace core learning or textbooks on these subjects, but rather to focus on their impact on the health and wellbeing of children. The programme equally is not designed to address in any detail the specialist needs of children with very complex problems. The Healthy Child Programme comprises 76 e-learning sessions, grouped together by topic into 12 learning modules. Each e-learning session takes approximately 20-30 minutes to complete. The sessions include interactive elements, case studies and self-assessments to reinforce learning and there are a range of resources signposted at the end of each session. The full curriculum for the Healthy Child Programme is available for download in pdf format, below. In addition, the mental health topics included in the Healthy Child Programme are also freely available as part of the MindEd mental health e-learning programme. The Healthy Child Mental Health Framework brings together the mental health e-learning sessions from the Healthy Child Programme 0-18 series on the open-access MindEd platform. Visit the MindEd e-learning portal here. This module introduces you to the Healthy Child Programme and the background and philosophies supporting it – the principle preventive child health programme in England, incorporating screening and developmental surveillance, immunisation, health promotion and parental support. Further sessions in this module cover leadership, monitoring and quality within the programme. These sessions provide you with guidance on keeping good records in practice to promote effective communication and inter-professional working. You’ll also find useful information on how and why to use the Personal Child Health Record (PCHR). Addressing a wide range of topics, this module provides you with resources on the health of the family in the UK. Sessions include topics such as the role of the father, the socio-emotional environment, hard to reach families and child resilience. This module builds upon existing safeguarding materials, providing additional learning sessions on vulnerable children including looked after children, to support you when operating in this challenging area of practice. Addressing a range of topics around parenting, this module contains resources on how factors such as attachment and wellbeing, parenting support and parental relationships affect the health of the child. Child development ¡n the first five years of life is a critical time for any family. These sessions review early child development and provide you with guidance when dealing with challenges around feeding, sleeping and toileting as well as common emotional and behavioural problems. The development of a child’s ability to communicate is addressed in this module. Typical and atypical development are considered, along with bilingualism and social aspects of communication. From pre-pregnancy through to adulthood, nutrition plays a vital role in healthy development. Focussing on the first five years of life, this module provides you with guidance on nutrition, feeding, weaning, growth and growth charts, the social context of food and obesity in the early years. These sessions deliver guidance for healthcare professionals working with families, providing advice, support and addressing parental anxieties around immunisation. This module outlines vital areas of interest in promoting health from the start in pregnancy through to the first five years of life. With a focus on smoking, obesity, mental health and substance misuse, this module also includes topics such as dental health and injury prevention. Screening forms a key part of the Healthy Child Programme. This module outlines the importance of screening and describes the timeline for screening in the first five years of life. The role of the UK National Screening Committee is also discussed. This session forms the first stage of providing the health visitor profession with a model of practice that you and families can use to guide your work together on the Healthy Child Programme. Early Developmental Support is based around an extensive set of resources produced by the Early Support programme, funded by the Department for Education. These resources are designed to be used within a key-working approach to supporting families with children and young people having special educational needs and disabilities. This session aims to enhance your knowledge and skills regarding oral health and factors that predispose to poor oral health. Promoting oral health in the infant and young child forms an integral part of this session. This session was updated in 2016 with the help of the Delivering Better Oral Health Working Group. 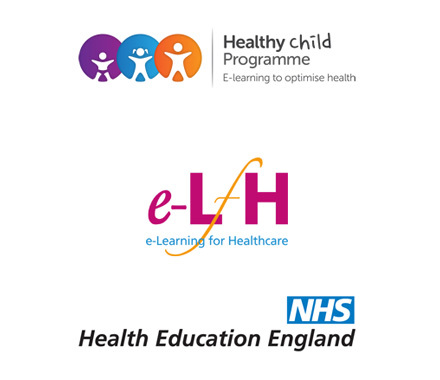 If you already have an account with e-LfH, then you can enrol on to the Healthy Child Programme by logging in to the e-LfH Hub, selecting My Account > Enrolment and selecting the programme. You can then access the programme immediately in the My e-Learning section. In the event that you do not qualify for free access to the Healthy Child Programme, you are able to license access through eIntegrity, a community-interest company established for this purpose. For more information on the licensing options available for the Healthy Child Programme, please visit the eIntegrity website. The Healthy Child programme is also available to NHS healthcare staff via the Electronic Staff Record (ESR). Accessing this e-Learning via ESR means that your completions will transfer with you throughout your NHS career.